Ask any self-proclaimed European, or Louis C. K. impersonator, and they'll tell you that North Americans have, of late, been taking things a smidge to the extreme. They'll tell you that we find run-of-the-mill, everyday occurrences to be "the greatest," or "the worst," or "amaze-balls," or "fml," or "mega-fly," or "totes the dope-on-a-rope!" That was a super long list. common, usual, normal, routine, commonplace, middle, regular, routine, standard, midmost, median, sufficient, sufficing, inmost. 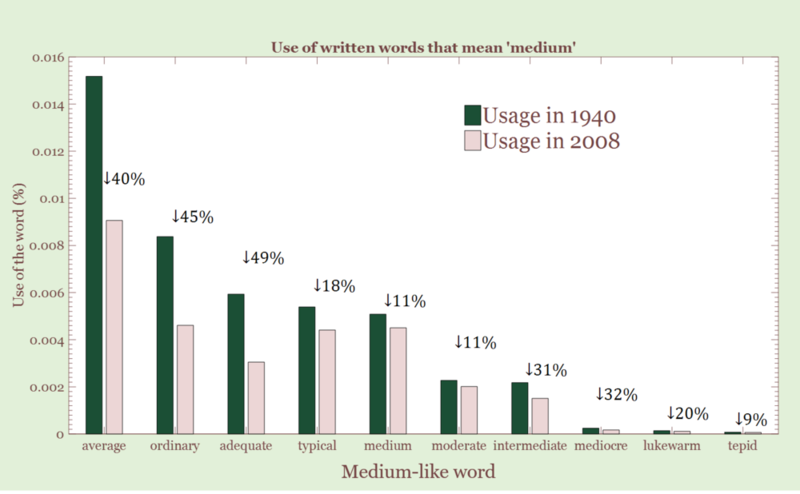 intermediary, central, conventional, modest, so-so, halfway, midsize, medial, in-between, tolerable.